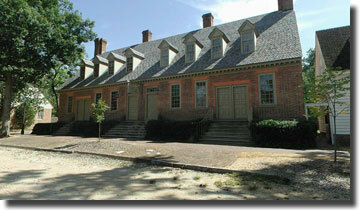 A street scene in Colonial Williamsburg, Virginia. 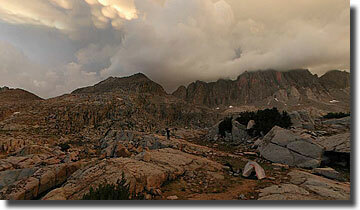 A sunset in Palisade Basin, Kings Canyon National Park, California. This panorama allows a view in 360° horizontally and nearly 180° vertically. 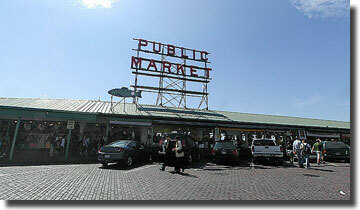 The famous Pike Place Market in Downtown Seattle, Washington. This panorama allows a view of 360° horizontal, and also allows panning straight up. 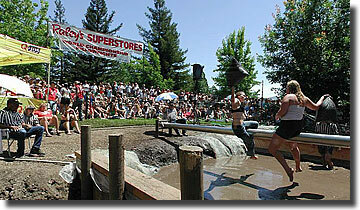 The 37th Annual World Pillowfighting Championships in Kenwood, California. Visit KenwoodPillowfights.com for more information. 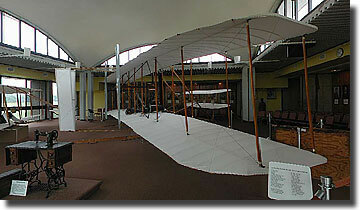 A replica of the Wright Flyer at the Wright Brothers National Memorial in Kill Devil Hills, North Carolina.